"How the Computer Beat the Go Master": While chess fell to a computer in 1997, when Deep Blue beat the World Champion, Gary Kasparov, the board game "Go" has proven more elusive. Why? Go has many more "states" than chess and thus the game playing strategies needed to be improved, and maybe even more importantly, the computers simply needed to be much faster. The Google company, DeepMind, took care of the former issue, while good old Moore’s Law took care of the latter issue. "Inside the 20-Year Quest to Build Computers That Play Poker": And poker is more challenging yet! In chess and Go there is "complete information" — each player knows all the information about the board and the potential moves. In poker, however, each player doesn’t know what cards the other players have in their hands and they don’t know what cards will be dealt by the dealer. Poker is a game of "incomplete information." But yet, now poker has fallen to the computer! "Nine tech giants investing in artificial intelligence: Microsoft, Google, Uber and more are investing in AI"
"Inside Look: The World's Largest Tech Companies Are Making Massive AI Investments"
"IBM to invest $1 billion to create new business unit for Watson"
"Ford is putting $1 billion into an AI startup, Detroit's biggest investment yet in self-driving car tech"
"AI Partnership launched by Amazon, Facebook, Google, IBM, and Microsoft"
Still further, there is even an organization — a nonprofit — that is concerned with the potential negative impact of AI on society. "Good Robot! Elon Musk’s AI Nonprofit Shows Where AI Is Going"
Clearly, AI is no longer just an ivory tower discipline; it is fast becoming a major economic and social force. Statement 1: "Is artificial intelligence the next big wave in ed-tech offerings?" Statement 2: "The question of artificial intelligence in education is not really one of 'if' but of 'when.' "
Indeed, artificial intelligence already powers the "personalized learning" systems produced by several companies (e.g., Dreambox, Knewton). And, studies are showing increased student achievement when students use those personalized learning systems. Yeah, yeah, yeah. But, we still stand by the title of our blog: "Artificial Intelligence Is Not The Silver Bullet for K–12." Strap in! We will be moving very quickly in the next few paragraphs; we apologize for the vertigo that might well be induced. Step 1: An important distinction needs to be made: Artificial intelligence is not "machine learning." Broadly speaking, there are two types of artificial intelligence: "Symbolic AI" and "Non-symbolic AI." Symbolic AI: Symbolic AI is characterized by systems that explicitly reason using logical rules, e.g., All birds are mammals, a robin is a bird, therefore, by the logical rule, "modus ponens," we can conclude that a robin is a mammal. Of course, in real symbolic AI systems, the reasoning will get much more sophisticated, nuanced, complicated. Symbolic AI underlies some of the "intelligent tutoring systems" that have been built. Non-symbolic AI: One form of non-symbolic AI is called "machine learning." This type of AI uses a range of algorithms that are based, by and large, on probability and statistics. Machine learning algorithms look for statistical correlations — machine learning is really machine training. Non-symbolic AI underlies the "personalized learning" systems used in classrooms. We refer the interested reader to several articles where this distinction is explored in much greater detail. Statement 1: "Is machine learning the next big wave in ed-tech offerings?" Statement 2: "The question of machine learning in education is not really one of 'if' but of 'when.' "
And thus the title of this blog, then, really should read: "Machine Learning is Not The Silver Bullet for K–12." As we noted above, sports fans, we are covering a lot of ground, very quickly! Each one of the above steps is worth 1000 times the space we have given it here. But, as this is a blog, not a treatise, so be it. Step 3: We stand by the title of the revised title of our blog: "Machine Learning" is Not The Silver Bullet for K–12. Machine learning powers personalized learning. Thus, machine learning is not the silver bullet for K–12. Now, IOHO, personalized learning is not the silver bullet for K–12. As we commented in an earlier blog, personalized learning does have a place in the educator’s tool box. When the goal is to teach a fixed set of procedures, e.g., in early math, then personalized learning, a form of direct instruction, can be effective. "Continuous formative assessment in and between lessons, analyzes over 48,000 data points per student, per hour to provide the right next lesson at the right time." Yes, machine learning techniques can deliver just the right problem to a student at just the right time which may be an appropriate instructional strategy to teach arithmetical procedures. But wait, who should be doing the continuous assessment? The computer? John Dewey, one of the world’s pre-eminent educational philosophers, would argue that it is the learner who should be doing the continuous assessment. What does one reflect on, then? Reflecting thinking — "continuous formative assessment" — is a key skill that is learned in the context of classrooms that employ science curricula based on the Next Generation Science Standards (NGSS). One of the central goals in NGSS is having learners "figure things out," e.g., why do earthquakes stop? By definition, "figuring out" means trying different understandings, reflecting and trying again. Direct instruction — embodied in personalized learning systems — surely is not an appropriate pedagogical technique to help learners develop figuring out skills! NGSS deals with science. "Big History" is a new way to teach/learn about history. Key to Big History is also the notion of "figuring things out." Language arts? Writing well does require an understanding of grammar. Does that mean drilling children on the grammar rules first via personalized learning systems powered by machine learning algorithms, is a good pedagogical practice? Excellent question! As the personalized learning systems branch out into teaching grammar, we look forward to reviewing the research. In sum, then, we would argue that only a small percentage — a very small percentage — of what is to be learned (e.g., early math procedures, maybe grammar rules) in K–12 can be taught using personalized learning systems powered by machine learning. Now, silver bullets are meant to address big problems, big percentages. 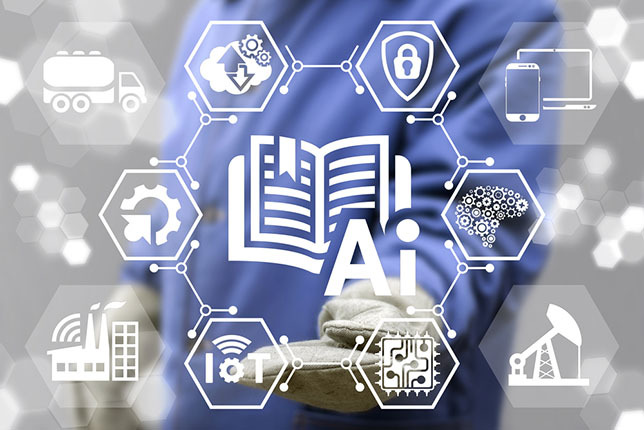 Thus … sound the trumpets …" artificial intelligence in the form of machine learning is not the silver bullet for K–12." Heck of a ride, eh? !